Welcome to our February newsletter, where we explore the topic of Relationships. We are all in relationships in one form or another every day – with family, friends, partners, children, work colleagues, people at the shops, via phone, email or sms – how are we in these relationships? Can we be truly open, honest and real with others or do we hold back? Our upcoming Women in Livingness Relationships Workshop in Brisbane, Australia, on 18 February will explore this topic in depth. The workshop will be presented by relationship counsellors Annette Baker and Gabrielle Caplice, who have also written our feature article for this month. Details of the workshop and how to register can be found below, and we have also included a number of other articles on this topic. We also include details of the Breast Cancer Care Retreats being held in Wollongbar (NSW) on March 4 and Brisbane (QLD) on May 20. These events are hosted by doctors and complementary health practitioners and are for all women who currently or previously have had a breast cancer diagnosis, as well as their carers/partners or family. The retreats offer women the support to truly stop and reflect on what is truly going on for them when a diagnosis of breast cancer is received. Also included are a number of other articles on this topic. As always in our newsletter we aim to discuss issues that are relevant to women today, it is important that we have these conversations and explore what is truly going on for us as women. We are dedicated in offering services, events and products that provide the foundations of true lifestyles choices, which can support women to restore true health and well-being. Single and 'in a relationship' – how can that be? Whether it’s trying to get their husband to go to therapy or the doctor even, becoming too involved with their teenager’s choices for career, taking on the considerable complications and burdens of family members or friends and way too much more, women are withdrawing and distracting from their own relationship with themselves. What is noticeable is that women are losing themselves in this process, living someone else’s day, responsibilities, life lessons and therefore life; which not surprisingly is exhausting and draining. Here we present several articles that explore the many different dynamics that make up our relationships . . .
Sharon shares about her relationship of 39 years with her husband and how for most of that time she struggled to be truly honest and real with him. "You might be thinking how can that be the case as you must know each other so well." Have you ever done or said something and then wished you hadn’t? This article may help you to choose to stay connected with yourself and not be controlled by events or people outside of yourself. 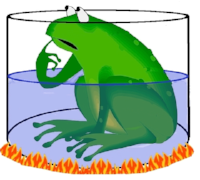 "There is a distinct difference between reacting and responding and reacting clearly feeds the hurt, anger, frustration and ensuing disharmony. The other gives an opportunity to own our own feelings and communicate in a way that brings both parties to a more honest conversation and therefore place of harmony." Read how one woman's trip with her son did not quite go as planned in her head but opened up a whole new way of being with her child. “Recently I went on a trip with my son. The picture I carried was we would enjoy common time together, while the picture that he carried was he would enjoy his time and do whatever he felt like doing." “It was quite a tumultuous time for me – wanting to be in a relationship and feeling less because I was not in one." Sarah explores how narrowly society defines being in relationship and what effect that had on her. At 33, Donna faced a diagnosis of breast cancer. 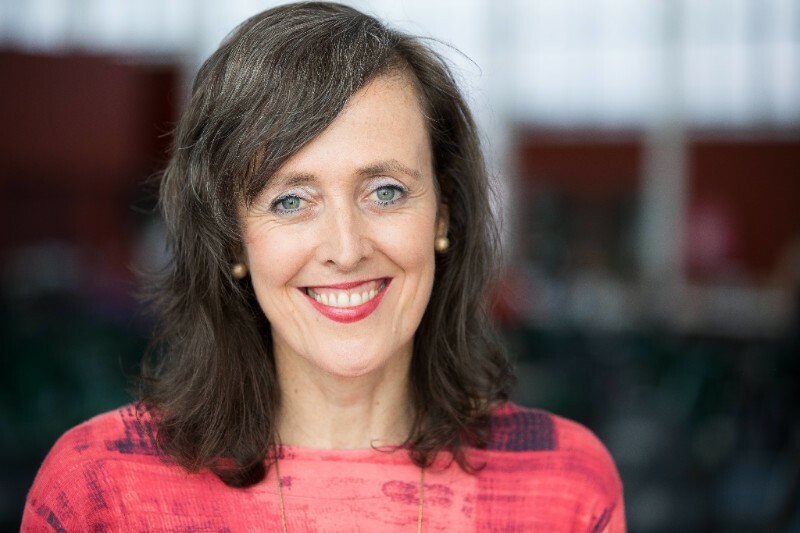 Now, nearly 10 years on, Donna shares how her breast cancer diagnosis was the most impactful event that has happened to her, one that changed the course of her life and that she feels much gratitude for. Nurturing ourselves as women is not something many women find easy to do. In this article, Sarah Davis exposes this age old pattern that is reinforced by society and one that we women have adopted hook line and sinker. Esoteric Women’s Health offers a range of events globally that explore how to live as a woman in this modern day world, supporting us to be ourselves in relationships. Have a picture of what intimacy is or isn't? Do you measure how open and intimate we are and are allowed to be with different people, depending on the kind of relationship we have together? "Of course!" you say. But consider there is the (strong) possibility that we may have more to learn and understand about intimacy, and that it is about so much more than just sexual intimacy. Join us in Brisbane on Sunday 18 February for this ever-popular half-day workshop to explore what it means to get real and honest in our relationships. 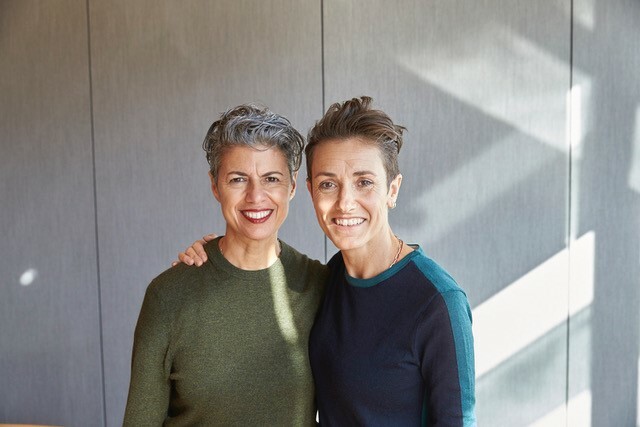 Relationship Counsellors Annette Baker and Gabrielle Caplice will be sharing their personal and professional experiences on how to develop open, honest and intimate relationships, as well as simple, practical examples of how to live this in your life. Annette and Gabe have a deep and innate understanding of relationships and the level of dedication and commitment it requires to nurture relationships to truly grow and evolve. Space is limited, book now to avoid missing out. 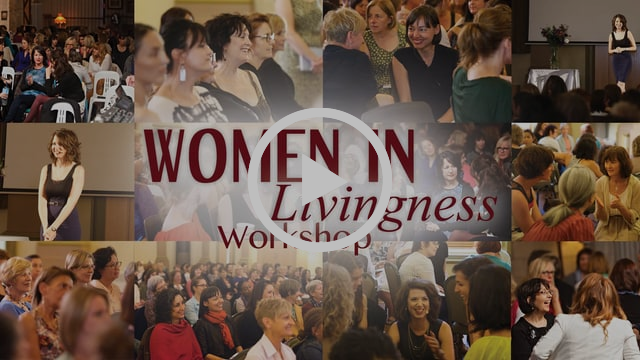 Watch our short video of the Women in Livingness Workshop held in Brisbane in February 2017. These one-day retreats offer support to women who have currently or previously been diagnosed with breast cancer, as well as their carers/partners or family. The retreats offer a space for a woman to truly stop, and re-evaluate the way she is living. Retreats will be held in several locations throughout the year. 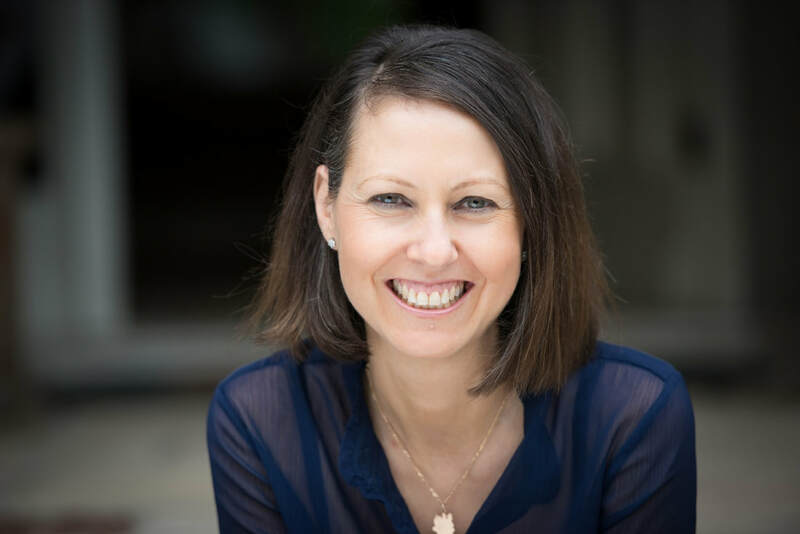 Read our blog: "Re-connection – the opportunity breast cancer brings" by Sarah Davis. "​I have witnessed women turning their lives around, using this ‘disaster’ as an opportunity to deepen their connection to themselves, their body, their grace and their wisdom." 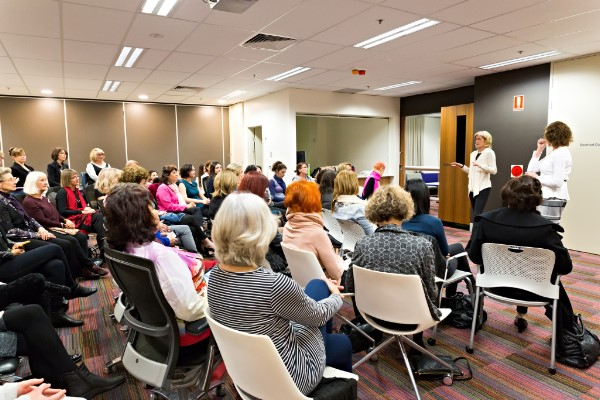 Well-being for Women events are regular presentations held throughout the world that offer a space for women to explore what health and well-being truly means and how we can access this in our lives. Please check our website for dates and details. 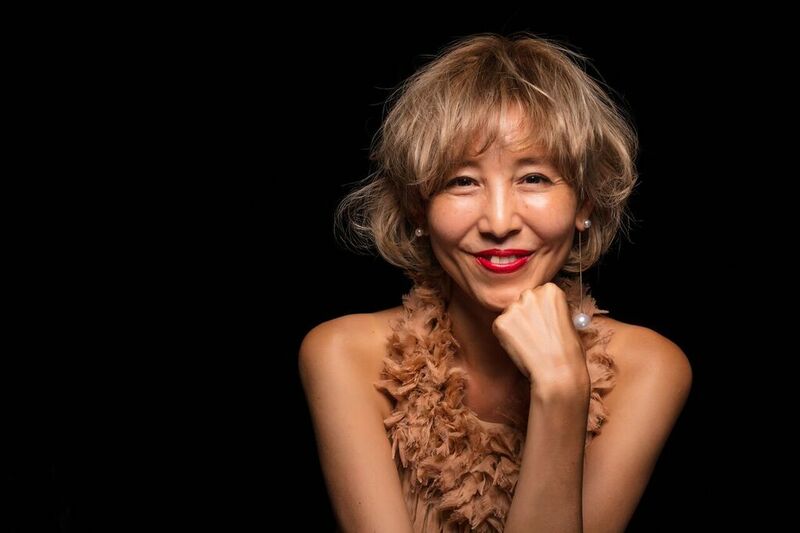 As part of International Women’s Day, a team of Esoteric Women’s Health volunteers host Women Connect events across the world in the month of March. Women Connect events are opportunity to bring people together in their local communities to celebrate women and to, well…connect! At these events women can share a cup of tea, a light meal, have a chat, talk about anything and everything, or nothing – simply enjoy the company of another. The events can be hosted in people’s homes, or at health clinics, workplaces or local parks. Watch the Esoteric Women’s Health website for details to be posted soon or stay tuned via our Facebook page. Esoteric practitioner and psychotherapist Jessica Hallock uses the term ‘comfortably uncomfortable’ to describe those relationships where one accommodates another to their own detriment. 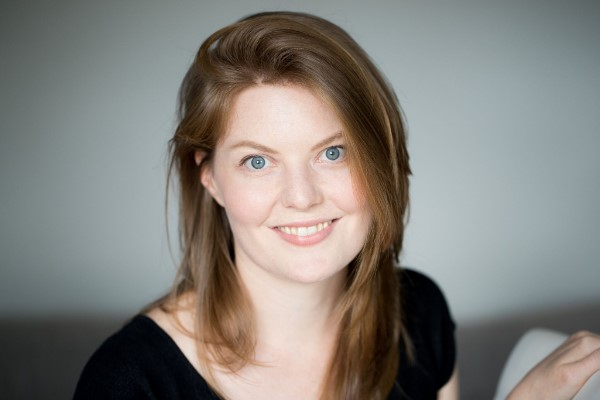 Jessica knows this feeling well, offering her services from the ethos that to truly support a client to ‘turn over their own stones and explore themselves more deeply’, one must have done their own exploration, which Jessica has clearly done. Jessica knows the ‘comfortably uncomfortable’ is caused by moments in a relationship of the mild overriding of one’s own knowing and feelings in everyday choices – because she has done the ‘comfortably uncomfortable’ herself. "Sharing your feelings, claiming your needs and hearing the other's feelings and needs, allow a basic but fundamental foundation to develop both an understanding and respect within the relationship. From here we can start to develop true communication that although at times can feel exposing and challenging, is no longer pretending." A nutritious alternative to rice, this broccoli rice is blended with asian flavours and is simply delicious. You’ll be surprised how versatile and popular it is! These muffins look fantastic and taste delicious too. With the earthiness of the beetroot and the sweet tang of the cranberry they sure are a crowd pleaser. Gluten free, dairy free and refined sugar free, these muffins are simple to make and a treat without the usual consequences! Seaweed is highly nutritious and is a great addition to your favourite green salad, the seeds and walnuts giving a super healthy yummy crunch. Gazpacho recipe at its simplest. It is good to keep the vegetables mixed together for a little while before consuming, to allow for all the different flavours to fuse and come out more. Grilled corncobs add an extra oomph to this simple cold vegetable soup recipe. 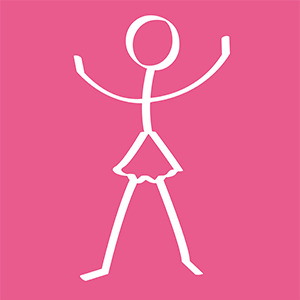 To keep up to date with Esoteric Women's Health on social media you can follow us here – you will receive notifications re upcoming events, articles to do with health and well-being . . . and much, much more. Please feel free to contact us at any time if you would like to know more or if we can assist in any way. Thank you for taking the time to read our newsletter and please feel free to share.